DUSTY SPRINGFIELD - lived from age 10 in Kent Gardens, Ealing and attended St. Anne’s Convent, Northfields. Dusty also worked in Squires record shop on Ealing Broadway. She is the only British Female singer to enter to the Rock “n” Roll Hall of Fame. 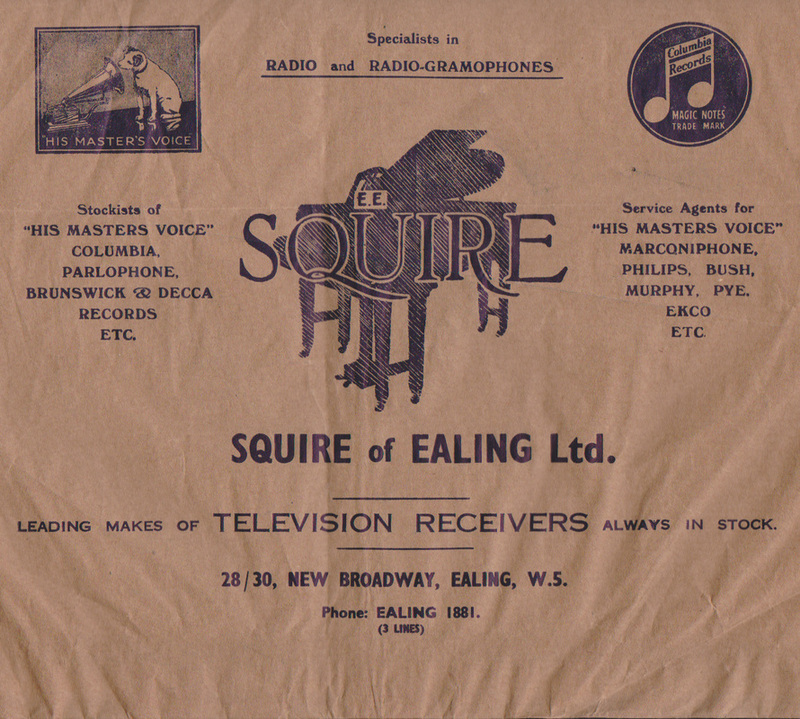 (Oct 22, 2014) Chris Edwards said:Squires was a musical instrument shop, sold pianos, etc, situated in parade of shops in Ealing Broadway, about halfway between Town Hall and Christchurch. Record department was in the basement. Dusty Springfield worked in the record department, as a teenager, before her singing fame. (October 29, 2015) I used to work at Squire of Ealing. It was my first job from leaving school, think the year was 1976. I worked in the piano workshop at the rear of the buildings,old cobbled paths lol.I wanted to work my way up the the television repair workshop that was above the piano workshop. I used to go and watch,ask questions to the radio repair guy whos repair bench was on the landing between the piano and television workshops.I left the company after being turned down a position to move up to television workshop which was my passion to get into at the time. I got the break i needed with British Relay TV in Hanwell and several years later went back to Squires into the tv section where I became a field engineer for tv repairs and av installer.Things were very much different when Roy Squire owned the business, very much a high class of service given to customers, but it all changed when the business was sold to Currys group service. thats when the beautiful shop front turned into the pic as it was here after the sell out.Still sad to see that "Closed" notice just painted onto the front.I enjoyed quite a few yrs working there with Mr Reed,Frank Firth,Oliver,Tony the service manager (tv)Mick Giltrow,the Fred our aerial installer,George Knoller(french polisher)Harry(tuining)Roger(strings)Bernard Carrier(aka Pigeon)he was the boss, always reminded me of the toy maker in Pinocchio. Barry(piano actions)mick O'shea RIP Mick died suddenly, couldnt believe the news that day, he was only 23 I think. Yes, Squires has a lot of fond memories for me. Comment:Terry Norris. ( December 13, 2015) I was a Manager at 12 New Broadway and Squires unloaded pianos behind my branch used to block our spaces!!! We kept the car repos there nice guy Sid was a worker. Comment:Brian Eakins. ( March 20, 2016) Nice to hear about Suires, I started work there in 1961 and worked with Fred installing aerials and later repairing radios,record players then into repair of tvs as a apprentice.I remember Tony and Mick Giltrow,in our dinner breaks we were either playing darts,cards or snooker,i also remember the piano side where the French polishing was done by hand it was beautiful until they went to a spray.I also saw Sid James a number of times outside the shop,never did see him in the shop,had good times there but went to work for Radio Rentals as I was getting married and moving to Bedford. Comment: Comment: Douglas Reynolds. Name Ken Cromey Comment: I worked at Squires of Ealing from 1948 until 1952 when I left there to do my National Service. The Record Counter stretched from inside the door on the left to the stairway. Customers could ask for a Record at the counter, and go into one of the Booths, and play it, before deciding whether to purchase it. 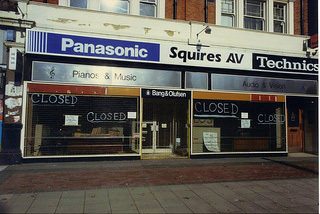 The rest of the shop floor was mainly taken up with Pianos, for which Squires were well known. The TVDepartment was downstairs, and they had a smaller shop opposite Christ Church. I was an Indentured Apprentice TV and Radio Engineer. they bought, and sold. Brian was one of several boys who were employed to strip down and clean these old pianos, and eventually became a French Polisher. All a long time ago now, but it is good to know that others share memories of Squires. ( August 18, 2016). Name Tony Wright Comment I remember Squire's well - on my route back to Ealing Broadway station each day from Ealing County Grammar (first former in 1963) - I seem to remember listening to records in those individual sound booths (or maybe that was somewhere else !) The smell of those radiograms / steriograms was something unique - I sang in the school choir at the nearby Town hall on one occasion .. and spent numerous lunchtimes swimming at the Public Baths around the corner - How we managed to get dry and back to school for the first afternoon lesson, was some achievement (but I digress). ( Nov 19, 2016).